Bigastro is situated in the south of the province of Alicante, near the Orihuela, in the Vega Baja region on the Costa Blanca in Spain. In La Loma there is an archaeological site dating from the Bronze Age. The district derives its name from the Lugar Nuevo de los Canónigos, a place of residence for the canons of Orihuela cathedral, which once had power over the area. In 1701, after some lawsuits with the settlers, the church made some allowances which permitted the foundation of Bigastro, starting with three estates, in which 24 families lived, who had relocated from the larger town of Orihuela. At the time agriculture was concentrated around flax and hemp; in the 19th century, the fall of the textile sector sparked interest in citrus fruits and products from irrigated fields. There is also industrial activity, mainly in the form of construction and manufacturing. For many centuries, Bigastro remained under the control of the church. Although the town underwent several changes to separate themselves from the church, their influence still remains in its architecture. One unique monument that must be mentioned is the Church of the Virgin of Bethlehem, and is distinguished by its well lit central dome with four scallops. Bigastro has everything necessary for enjoying a pleasant lifestyle. It has a good selection of shops, bars and restaurants. A pleasant municipal park, with tennis courts, swimming pool and a children's play area. Beyond the walls of the town are remnants of earlier civilizations. There are two archaeological sites near Bigastro - the La Loma and Los Palacios. La Loma is a large hill rich in clay, sandstone and marl. The area containing Los Palacios contains relics traced to the 2nd century BC until 2nd century AD. Also near to Bigastro is a recreation area known as La Pedrera, with mountain bike trails, walking trails together with barbeque and camping areas. 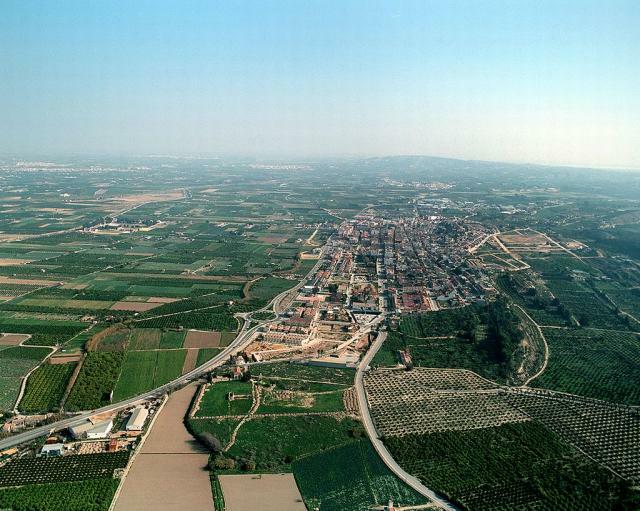 Bigastro is a very quiet picturesque town with fabulous mountain views of La Sierra de Callosa and Orihuela. Bigastro is known for more than its share of natural and manmade landmarks and is worthy of a visit. See below to view a selection of our bargain properties in Bigastro.